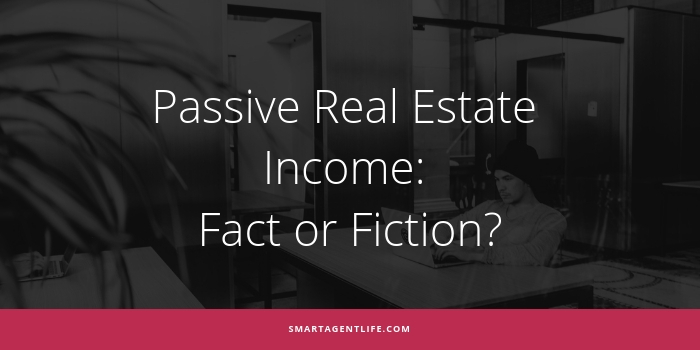 Blog Passive Real Estate Income: Fact or Fiction? Is passive income in real estate a pipe dream? Passive income is money generated with little or no effort. You’ve likely heard about turnkey real estate solutions that will make you money while you sleep, or how a few hours of work a week will turn into thousands of dollars a month. It’s true: there are ways to earn passive income sources from real estate. Some people build rental portfolios. Others purchase properties, pay people to flip them, then sell them for profit. But what most successful people don’t always share is the work required to get to that hands-off point. (Hint: starting a passive income stream like the ones above isn’t passive at all!). Briefly, revenue sharing is the act of splitting revenue with the person who made that revenue possible. It’s different than a commission in that there’s no direct selling involved. Single-agent Revenue and Cascading Revenue. Each offers agents the opportunity to drive real passive income without first investing countless hours or money up front. eXp Realty has grown from just a handful of agents at its launch in 2009 to over 16,000 agents at the beginning of 2019. A large part of this successful growth has been through agent referrals. Agents who refer other agents to eXp Realty will earn revenue on that agent’s first transaction. In addition, you can early up to $2,800 per referral each year based on that agent’s sales – without reducing their commissions. In other words, the revenue you earn through referrals comes directly from eXp Realty, not the agent. This allows every agent to retain as much as 100% of their commissions while also earning passive income to support their salaries. Cascading revenue sharing is similar to the single agent concept, except it extends to the agents your recruits bring into the network. Let’s say you bring in three agents, and each of those agents sponsors three agents. 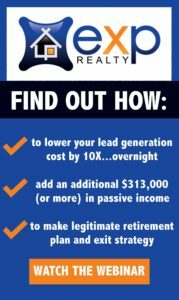 You earn residual income on all of the agents in your group, ranging from $2,800 up to $4,000 per agent each year. The amount you earn for each agent depends on the number of agents in your group. There’s no limit on how much each agent can earn through revenue sharing. As long as your sponsored agents (and their sponsored agents) are being productive, you’ll earn passive income. Passive income for real estate agents does exist, but it doesn’t always look the way you expect it to. While flipping houses and managing rentals can produce good revenue, it’s usually an expensive, hands-on experience to reach the point of passive income. Learn more about eXp Realty’s revenue sharing for passive income and how it can increase your earning potential.